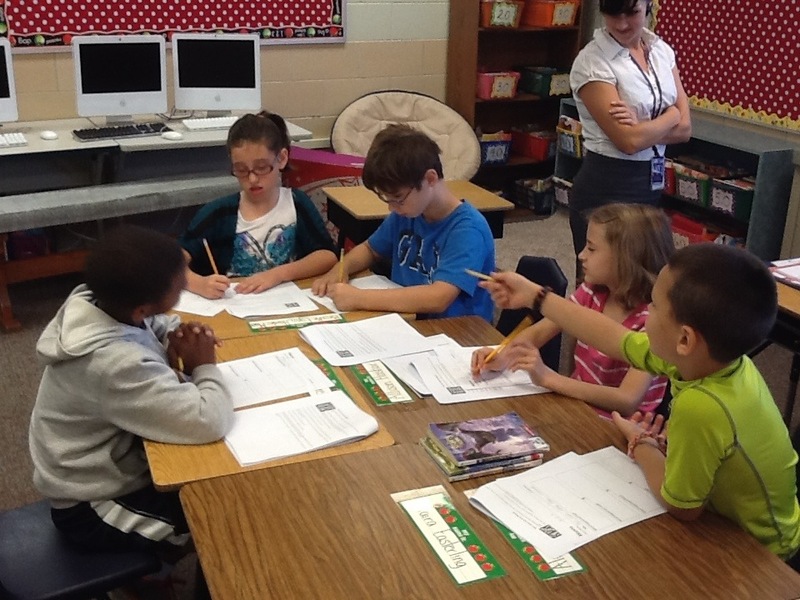 Today we had a guest teacher during Language Arts. Mrs. Gartner, our music teacher, came in and helped us to learn about Aesop’s Fables. 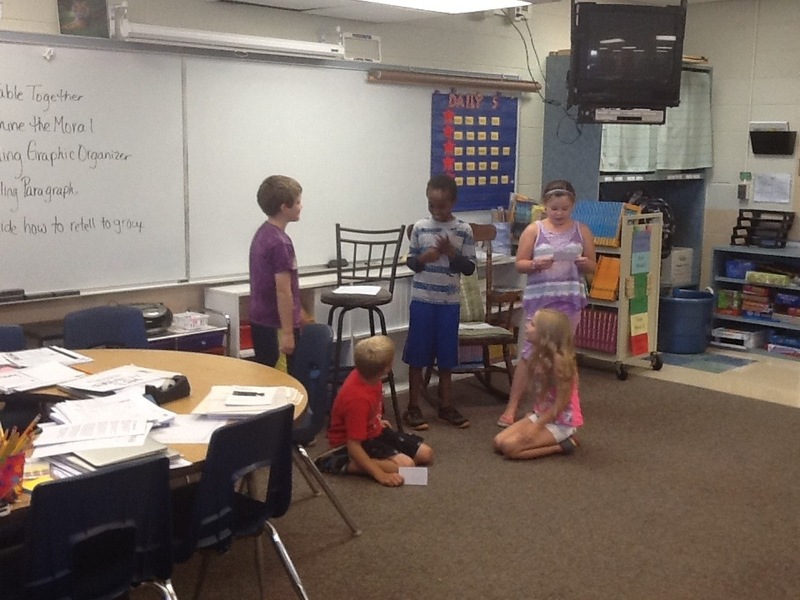 We worked in groups to read fables, write a retelling of the fable and then act out the fable. 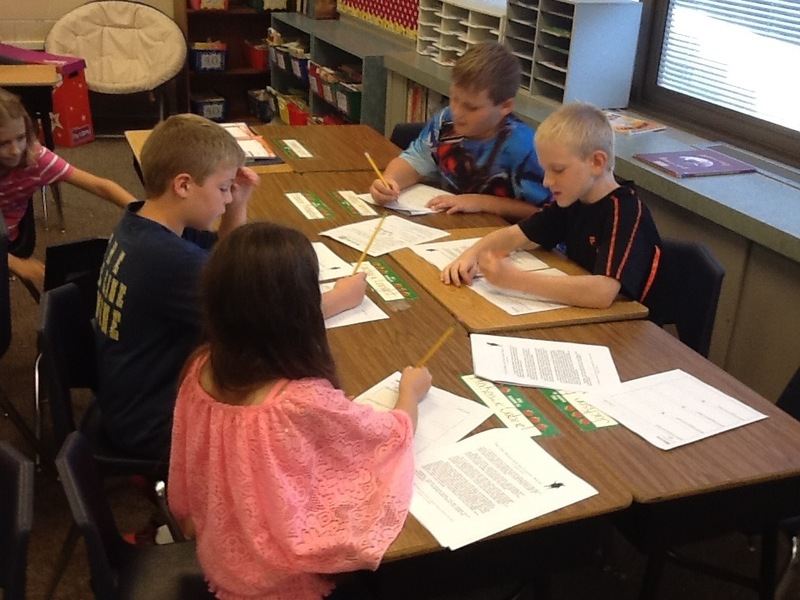 The kids synergized well and worked hard to complete their tasks this morning. 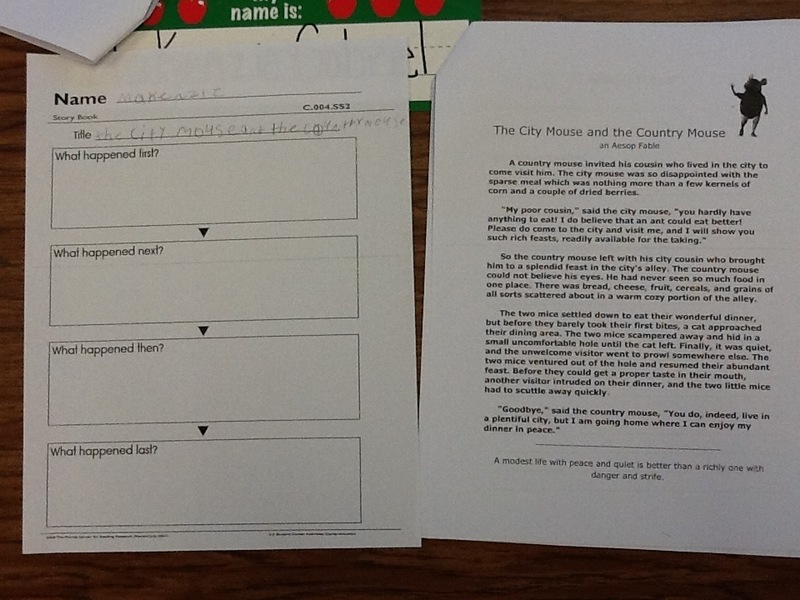 The end result were some great retellings of fables! Mrs. Gartner will be working during music time with the fables and the students will be learning songs to go along with them! 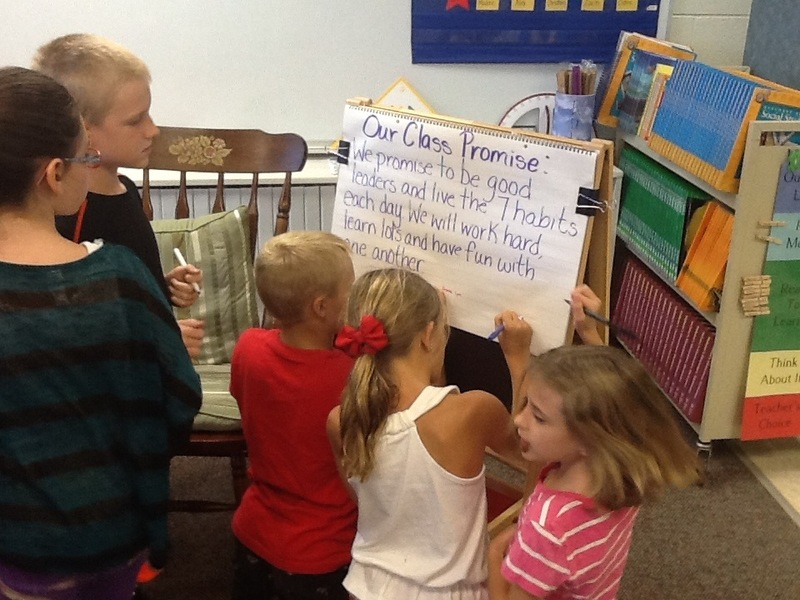 A tradition at Heritage Elementary is for each class to write a classroom mission statement that outlines what is important to the members of the classroom and the ways that we want to conduct ourselves, not only in the classroom but as a citizen of the world. 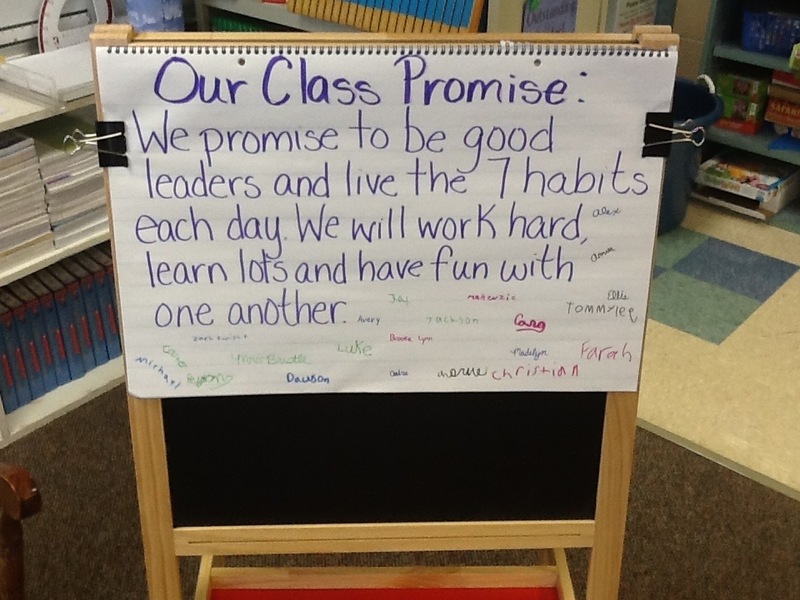 We worked today to create our class promise, a promise to each other of how we are going to conduct ourselves each day we are in school. 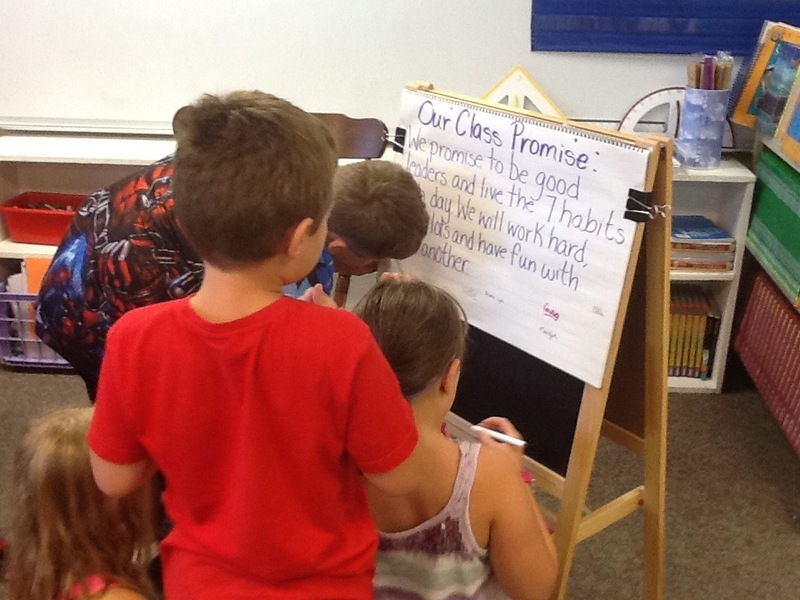 The promise was signed by all the students and myself and is hanging outside our door so that the whole school will know what we are all about! 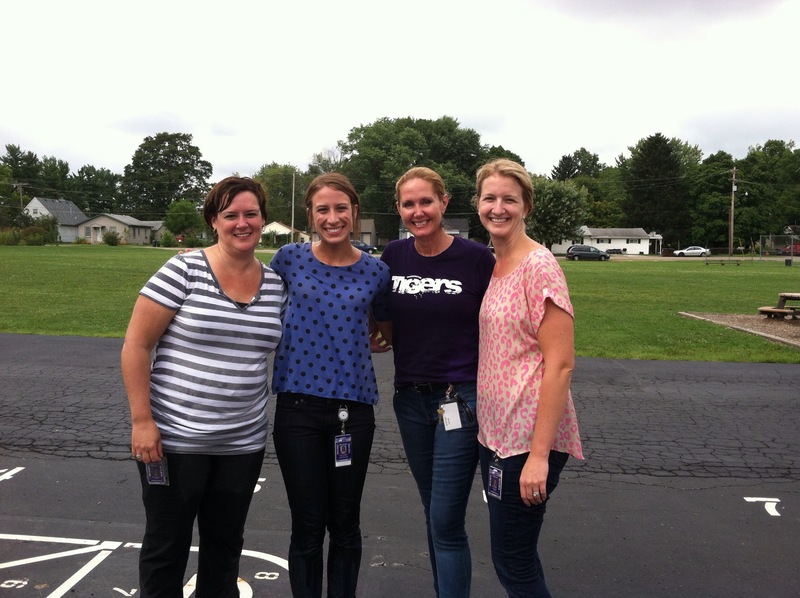 The first, second and third grade teachers took on the ALS challenge today! We called out the rest of the Heritage staff, so there are more challenges to be completed! The picture below is of our third grade team after the challenge. Thanks to Dawson H for dumping the water on me! 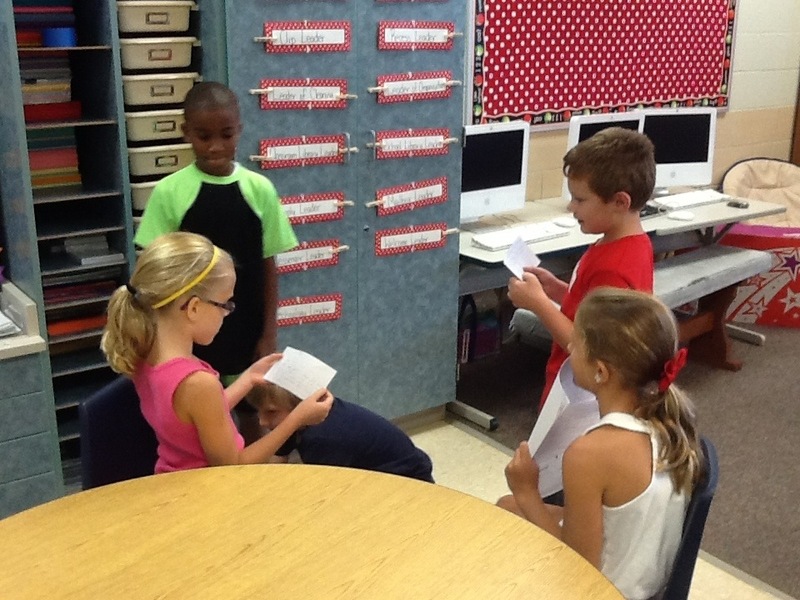 Today we finalized our classroom leadership roles and set up expectations for each leadership role. Ask your child what their role is and what their responsibilities are, I’m sure they are excited to tell you! 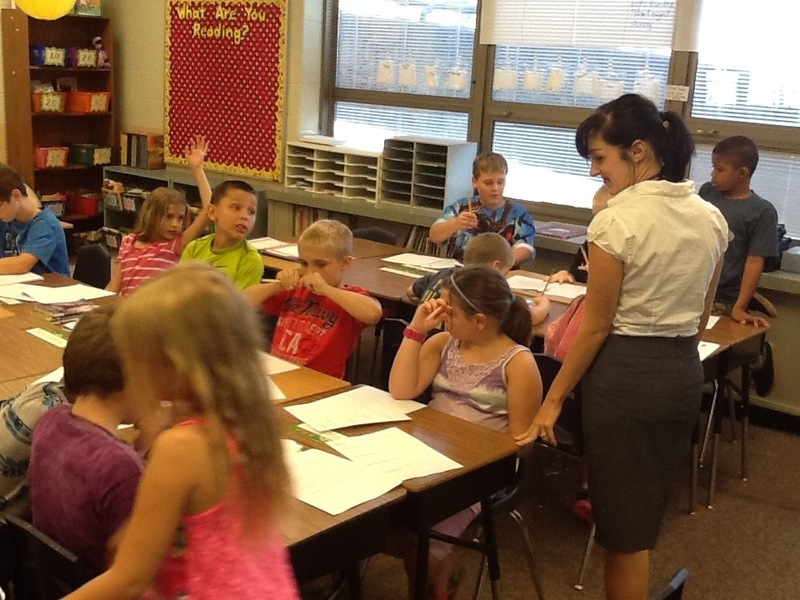 We are ready to start our second week of the school year and have hit the ground running. 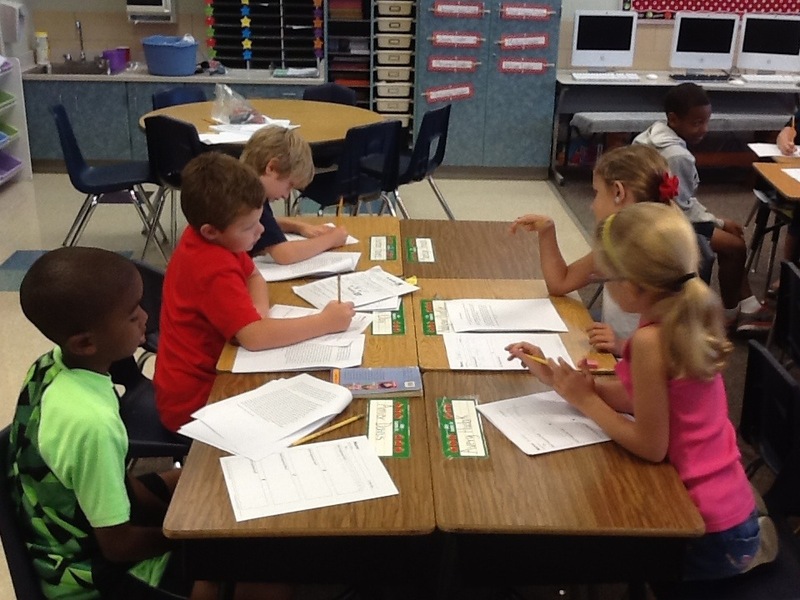 This week we will continue to add subjects and content areas each day as we build our back to school stamina. 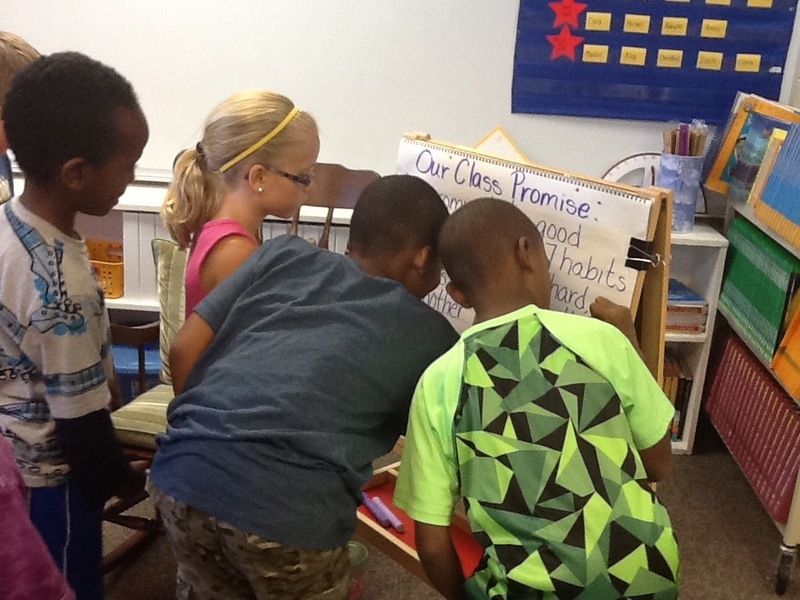 Reading: Speaking of stamina… we have been working to build our reading stamina in class so that we can read for a sustained time during our Daily 5 rotations. Last week our stamina started at 7 minutes, but by Friday we had built to 14:02! 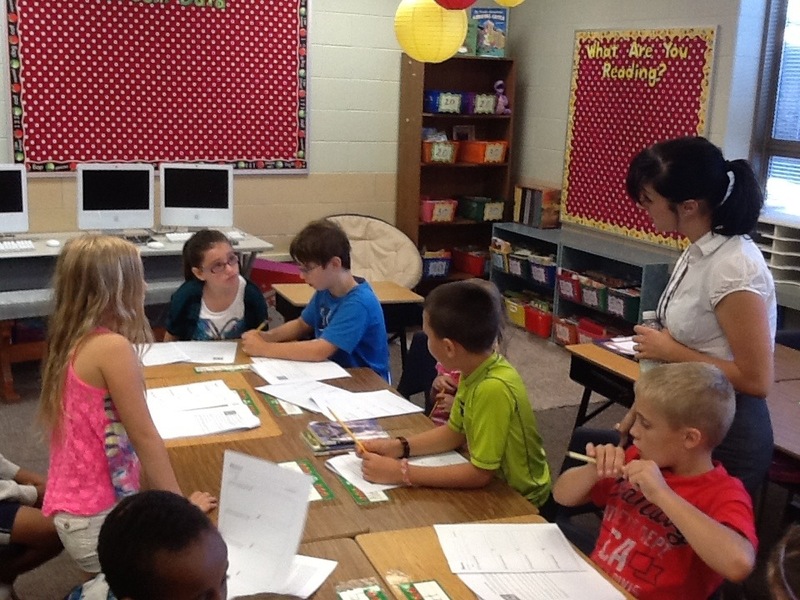 I was very proud of how the students worked to increase that stamina each day. We will work on reviewing daily 5 stations this week and will also begin our first unit “Stories Worth Telling Again and Again”. We will be using poetry, short stories and fables as we work on retelling stories, describing characters in stories, looking at the setting of a story, and doing some narrative writing. This unit will take us through the first several weeks of school and we will build on this as we continue through the school year. Weekly reading logs will also come home today, please return these each Monday. Math: We are working on the concept of Multiplication as we begin our first Math unit. Please spend some time with your child studying math facts each night. Doing this will ensure that they will have more success during our math time. Homework will be coming home Monday through Thursday, starting tonight. Remember homework is intended to be practice, not frustration. If this becomes overly frustrating for your child please send me a note with the incomplete paper and I will review it with them the next day. Science: We will start looking at our plants unit this week and will work on doing several hands on projects throughout the next month as we look at life cycles of plants and animals. Leadership: We have been discussing Leadership in the classroom and what is means to be a leader. 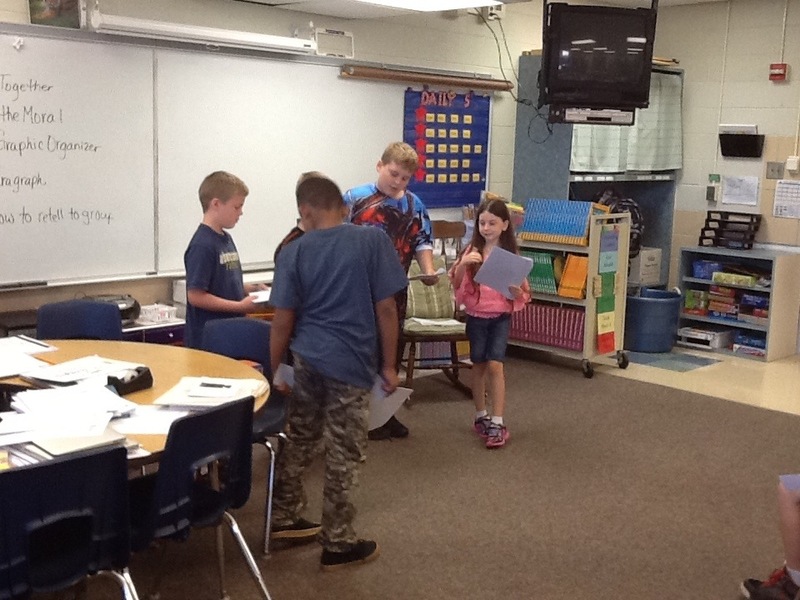 Students each applied for and chose Leadership Roles in the classroom and will begin those roles today. Soon each student will have an opportunity to be on a School Leadership Team as well! We are discussing Habit 1, Be Proactive this week. Talk to your child about what being Proactive means and how that applies in their lives. Don’t forget that there is a PTO meeting Wednesday night at 6:00. This is a great way to be involved with Heritage and to have a say in programming and events at the school! We would love to see everyone there. As always, please email or send in notes with any questions! What a great start to our third grade year! Our third grade leaders have worked hard as we learned rules and procedures, discussed how to be a leader and began our first math unit which focuses on multiplication. 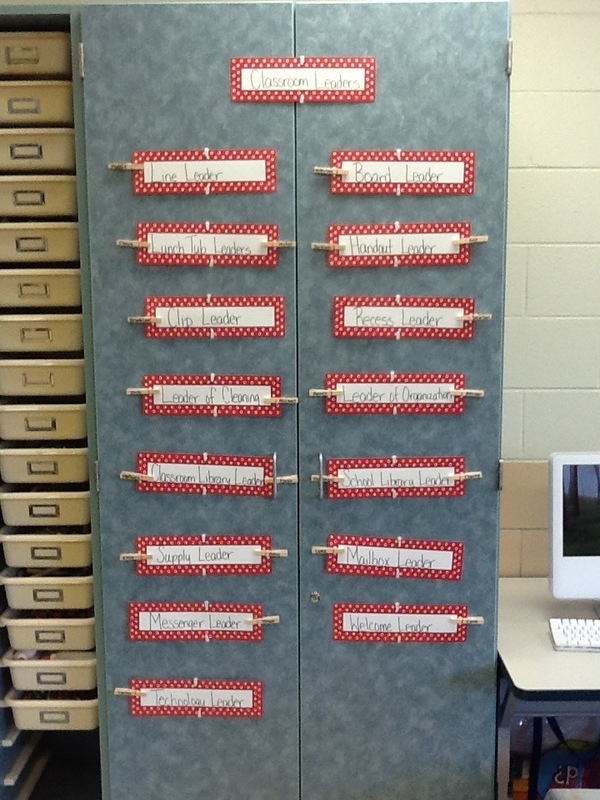 Next week we will start working on daily 5 stations and continue with multiplication in math. We will also start our first unit in science and in spelling! Today we spent some time discussing all of the things that make us special, different, and most importantly make us unique! 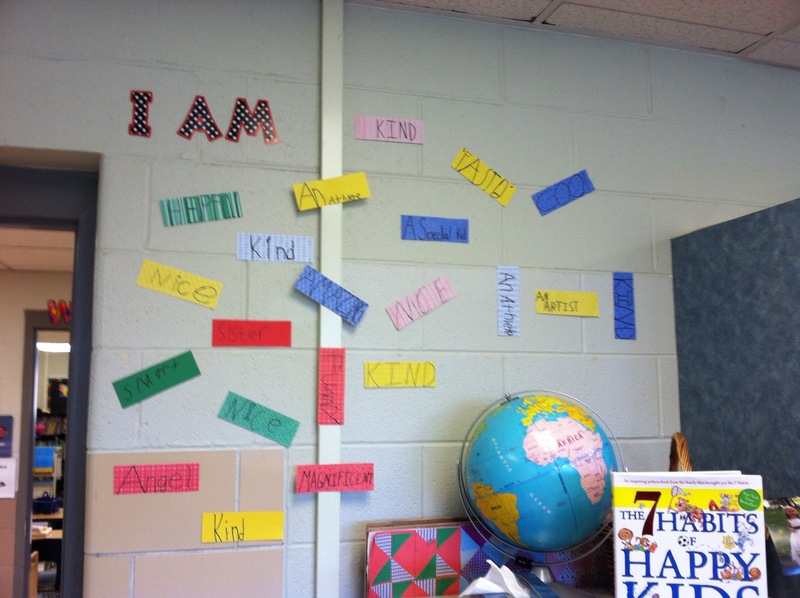 The students picked a word or two to describe themselves and we created a class display to remind us each day of what makes us who we are. Enjoy your weekend with your families and hug your kids! 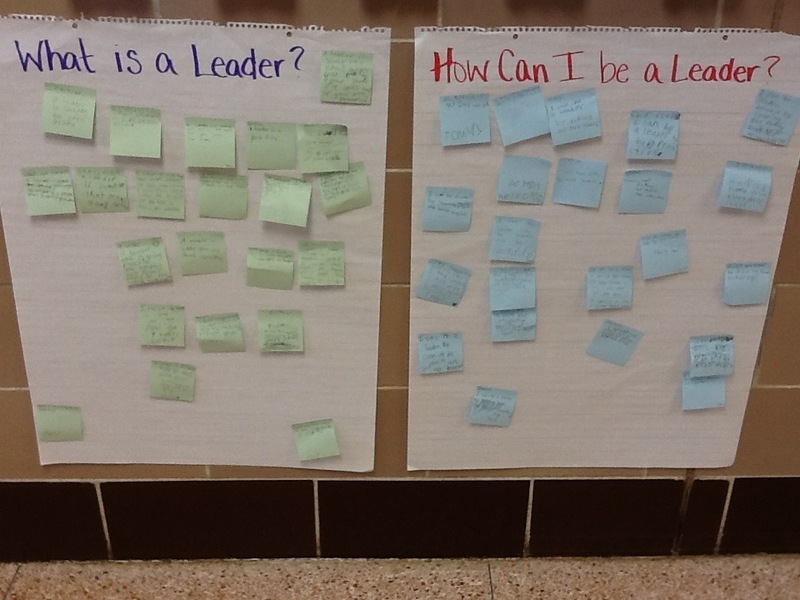 Today as a class we talked about what a leader is and how our students could be leaders in their own lives. 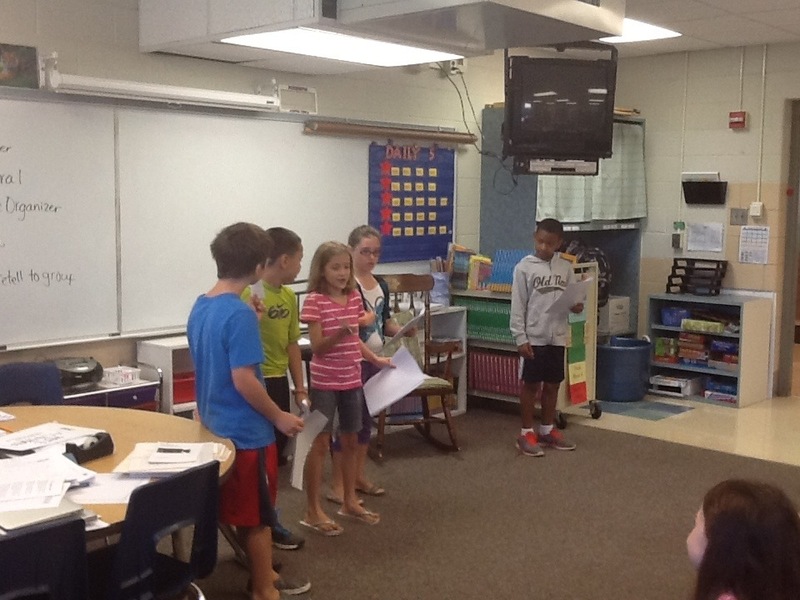 The kids were amazing at coming up with ways they can show leadership at school and at home. 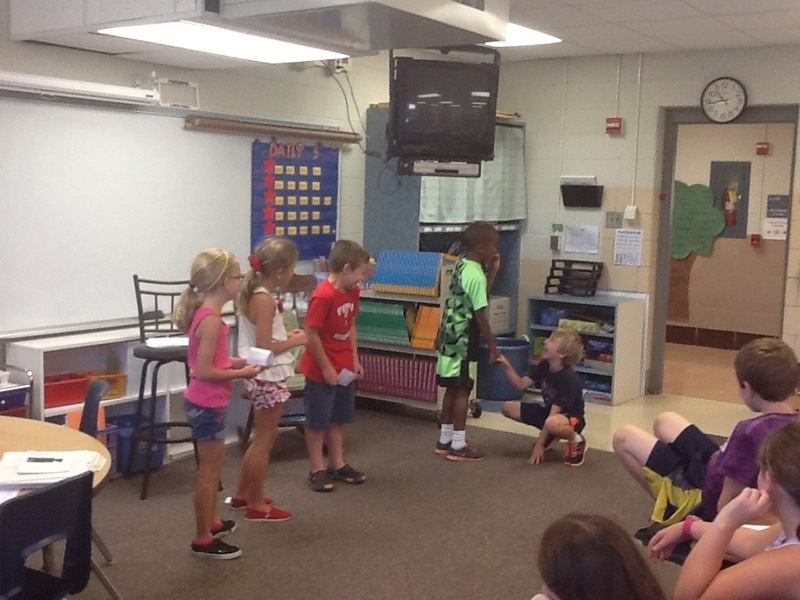 Be sure to ask your child what they thought they could do to be a leader!